Don't tell Parker, but we are getting him a real bike for his birthday. Last summer he really proved to us that he could handle riding with his strider bike. It will be fun to see how he progresses this summer. 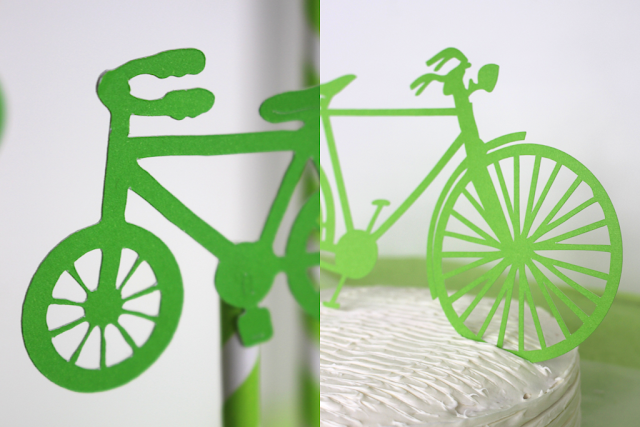 I thought it would be fun to throw some bike references into his party decor. 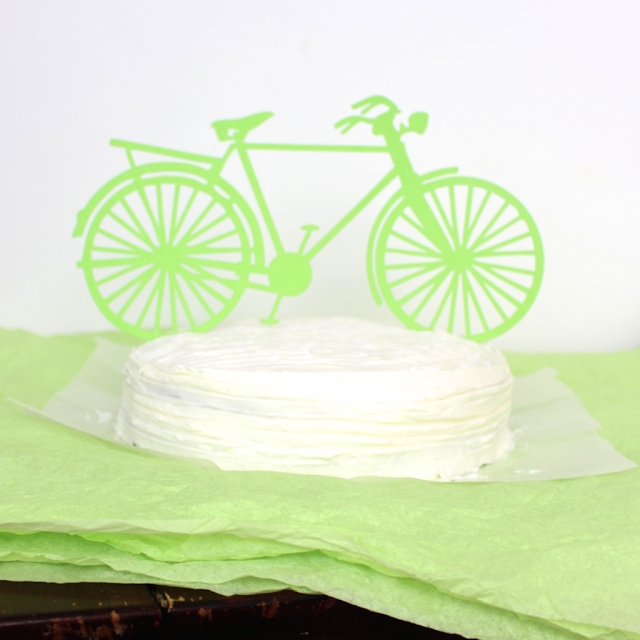 Cake toppers are an easy way to pull together a theme and make your cake seem fancy, and they don't take much time at all. If you have time to make a homemade cake (and that is something you enjoy doing) go for it. If buying a cake at the grocery store is your style, that works too. Or if you are like me and use a box cake as a starter, and add your own elements, then do that. Whatever you do, don't get hung up on the process, just make it look good in the end. 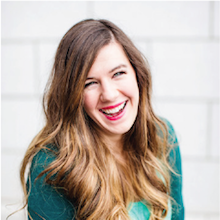 I love this little video from Oh Joy, about decorating store bought cupcakes. 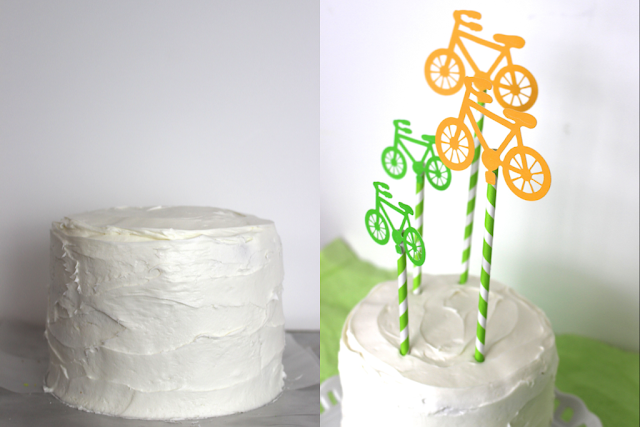 Keep reading if you want to know how I made these cake toppers for Parker's party. 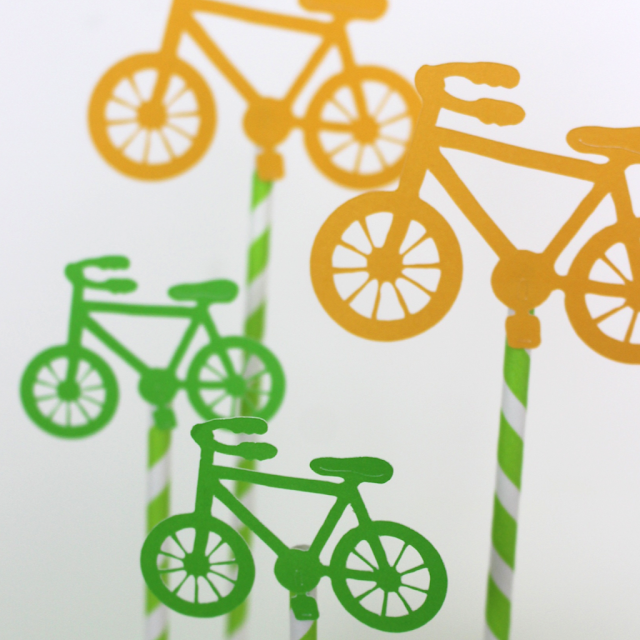 Materials: cardstock, paper straws, glue, cutting tool. Process: Okay, so I used my Cricut Explore, but that is not the point. Once you have decided how you want to decorate your cake, search it on the internet followed by silhouette. Then print it on card stock and cut it out with an exacto knife. Once you have your object, glue it to a straw and poke it into the cake. Easy-peasy. Time: With the Explore this took me no more than 5 minutes. The time will depend on how detailed your object is. If I were cutting these bikes out by hand, it would have taken a long time. 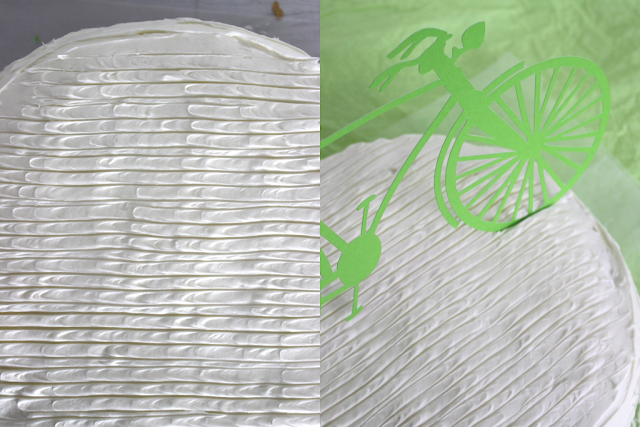 There you have it, now your simple cake will have a bit more sophistication and class.